Bob is an innovative and visionary executive with an exemplary record of providing customer-driven solutions to companies in high growth or rapidly changing business environments. He provides a unique perspective as a thought leader, consultant, practitioner and business partner in customer experience design and execution to help companies become easy to do business with. 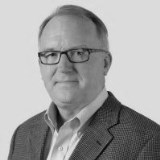 Bob has held a variety of CX positions at leading organizations when he also served on our CCW Advisory Board. He now serves as the chairman of the board for the Customer Experience Professionals Association (CXPA), a longstanding partner of CCW.